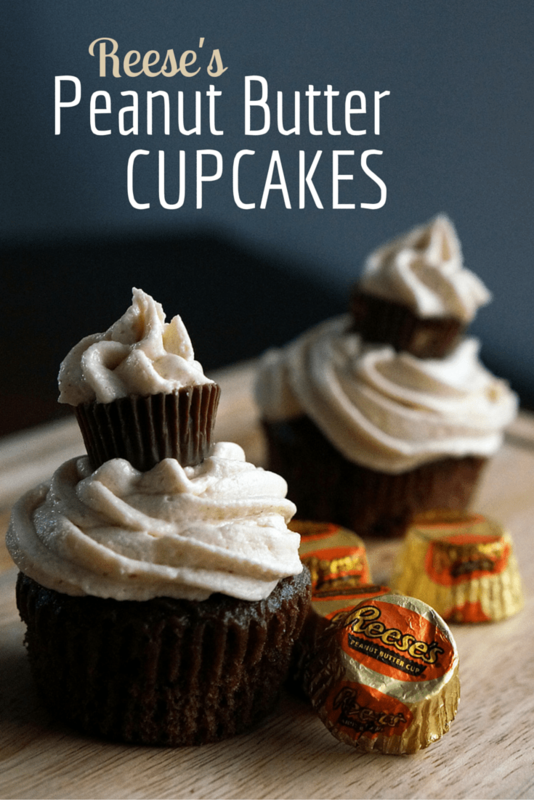 So I found these absolutely adorable Reese’s Peanut Butter Cup Cupcakes on Pinterest by The Domestic Rebel, and they were so cute I knew I had to try them! I adapted the recipe a little bit and they turned out delicious! 1) Bake chocolate cupcakes according to the box. 2) Now make the peanut butter icing while the cupcakes cool. 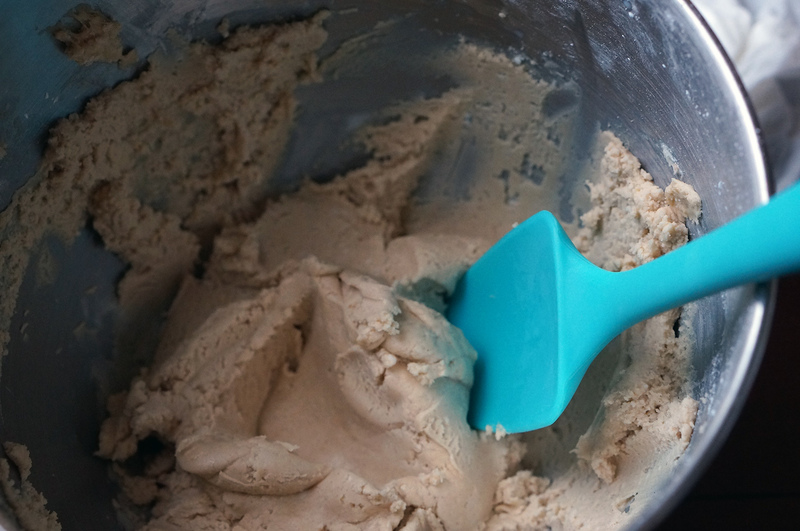 Mix butter, peanut butter, powdered sugar, vanilla extract, and milk with a mixer (using the whisk attachment to make it fluffy). If it is too thick to pipe on your cupcakes add a little more milk. 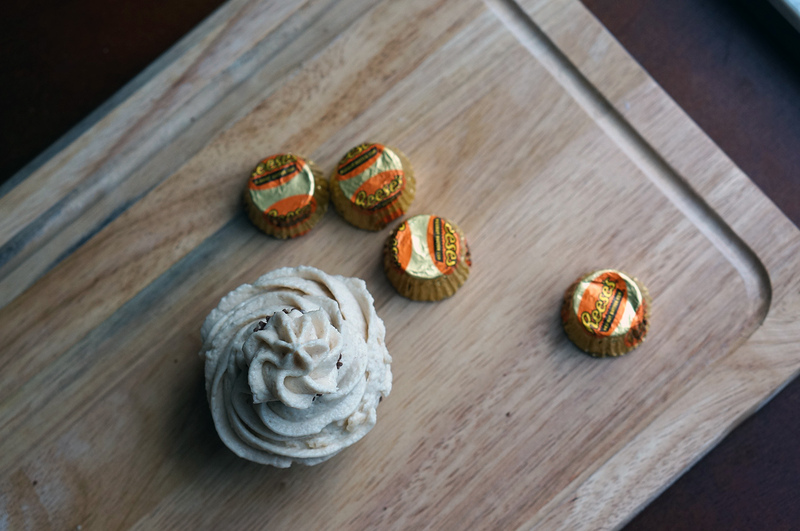 3) Use a knife to cut out the center, so you can fill it with your yummy peanut butter icing (so the cupcake is filled with peanut butter, like a Reese’s cup). 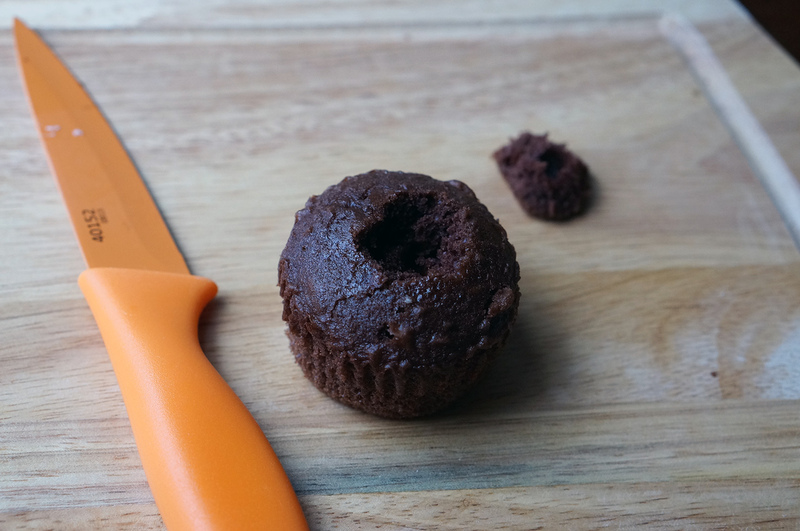 4) Pipe icing inside and on top of your cupcake, then unwrap a Reese’s miniature and pipe a tiny bit of icing on top (to make a mini cupcake). 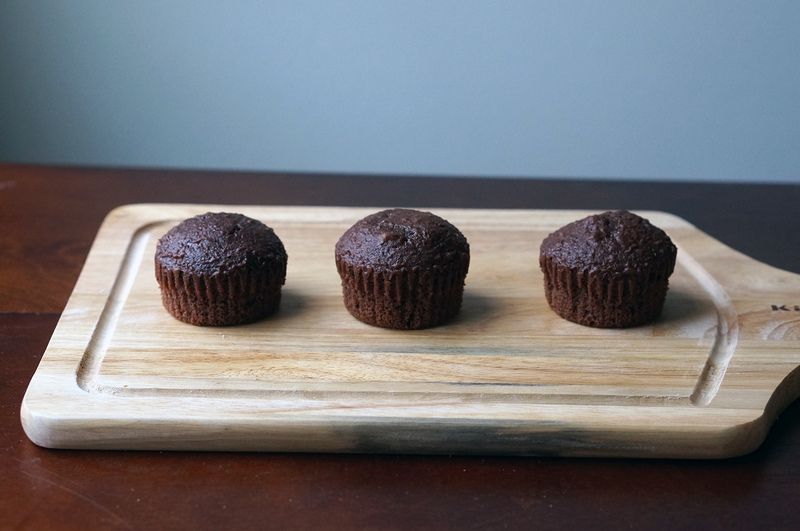 Set your mini cupcake on top to form delicious cupcake inception! So yummy! 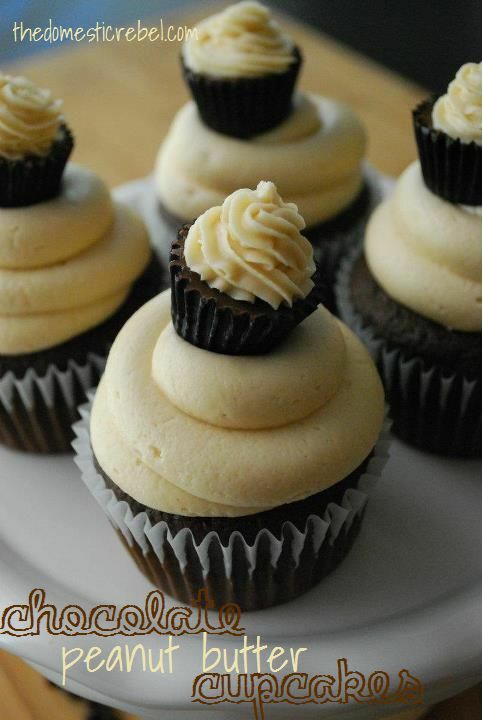 This is one of my favorite cupcake recipes, because it is easy and will totally impress your friends! 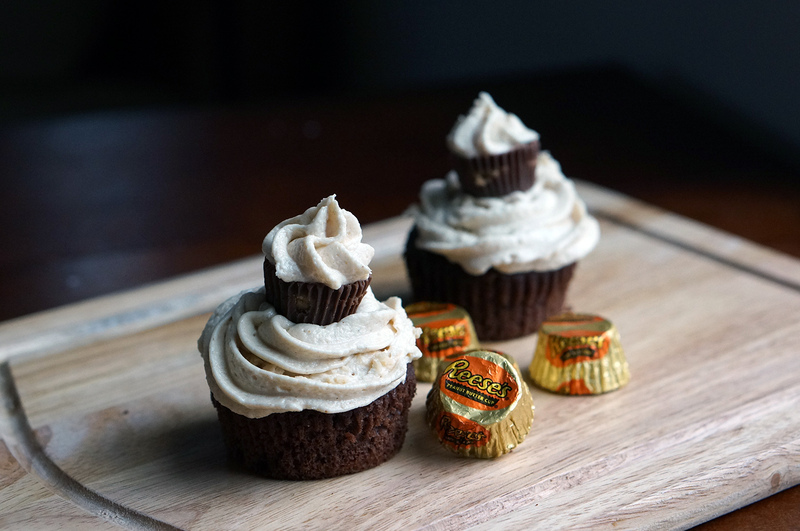 Reese’s cupcakes! These look crazy good and will be a favorite in our house!! Have to try these all in one favorites! !